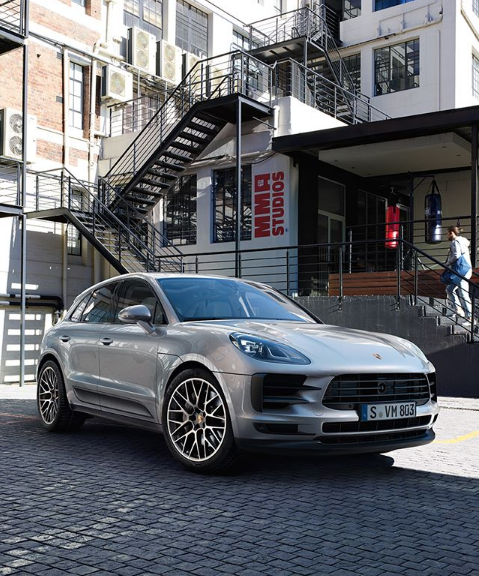 The Porsche Macan is back and better than it’s predecessor… For the 2019 Model Year, Porsche has upgraded the Macan in many ways. Though staying true to their heritage, Porsche has made some exterior design changes to the new model. 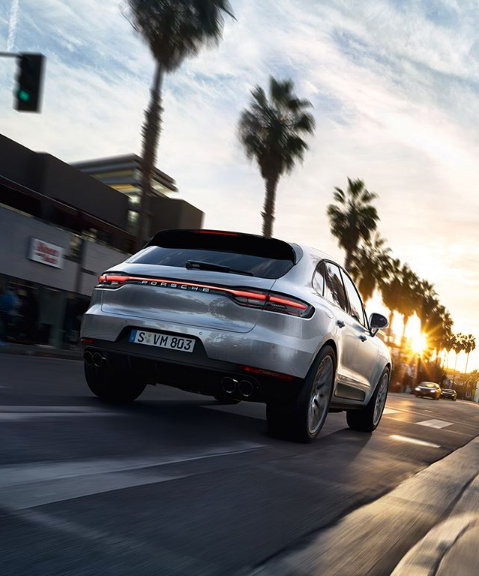 The obvious and most extreme being the sleek singular taillight stretching across the rear cargo hatch, resembling that of the new Porsche Panamera, enhanced by the new four-point brake lights, both functionally and visually. A cool touch to the new design is the addition of more exotic exterior paint colors as shown in the photos above, Miami Blue, famously know to be a hot color on the Targa and other 911 models. Also included in the line up is Mamba Green Metallic, Dolomite Silver Metallic, Crayon. The interior provides a big, 11-inch HD touchscreen with the redesigned air vents being relocated underneath it. This provides a crystal clear display of real-time traffic information and traffic data. 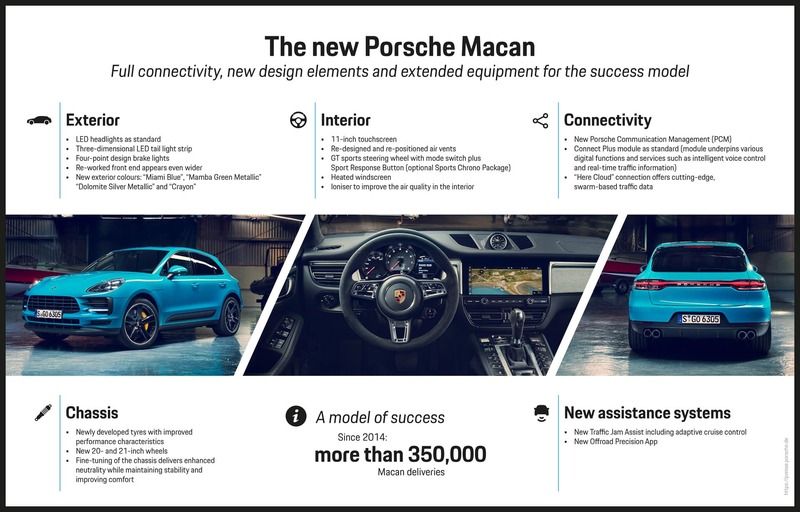 There are many options that are new for the Macan in general. The GT sports steering wheel option, found only in the 911 before this time, has become an available option. Traffic Jam Assist as part of the adaptive cruise control system partially operates braking, acceleration, and steering assist in slow moving traffic. 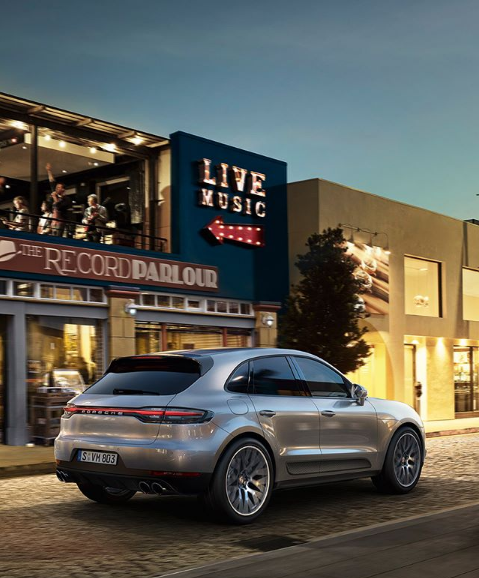 The 2019 Porsche Macan: the compact SUV that inextricably combines sportiness, design and everyday practicality. 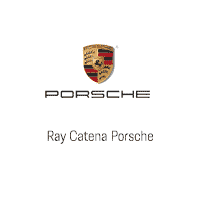 For more questions, or to pre-order the 2019 Porsche Macan with Ray Catena Porsche, please feel out the form below.